The most important work in IFLA happens in the various IFLA's Working Groups that make up the organization. They are all filled with enthusiastic people who gather materials and work to further the profession. A good way to get started (for Associations, Institutions, Individuals, and for Corporate Supporters) is to become an IFLA member and to get involved in IFLA and one of its many activities. IFLA’s Working Groups enable you - as an IFLA member - to become active at an international level. IFLA Members can join as many sections as they want. Under its five main Divisions, IFLA has over 50 Sections and Special Interest Groups on specific library topics. Social media campaign : #MyiflaGlobalVision was launched in 2017. January 2018: the campaign counts 22,000 votes from 213 countries and areas of the world! Take a look at some great posts here & Contribute with your discussion! FAIFE - IFLA's advisory committee on Freedom of Access to Information and Freedom of Expression was launched in 2017. FAIFE is working to encourage discussion and debate over the essential correlation between the library concept and the values of intellectual freedom. As part of this, IFLA has already announced the establishment of SpeakUP! online space - open for contributions ! IFLA Standards. IFLA plays an active role in developing and promoting Conceptual models, Digital format codes, Rules for resource description, Guidelines, Principles. IFLA Standards are internationally reviewed, published and regularly updated documents. PRESSOO - is a formal ontology designed to represent the bibliographic information about continuing resources, and more specifically about serials (journals, newspapers, magazines, etc.). As an advocacy tool, the Library Map of the World is also a platform providing access to Sustanaible Development Goals (SDGs) stories demonstrating how libraries in different countries contribute to the United Nations SDGs and serve as partners in meeting local development needs. Participate in the creation of the Library Map of the World ! 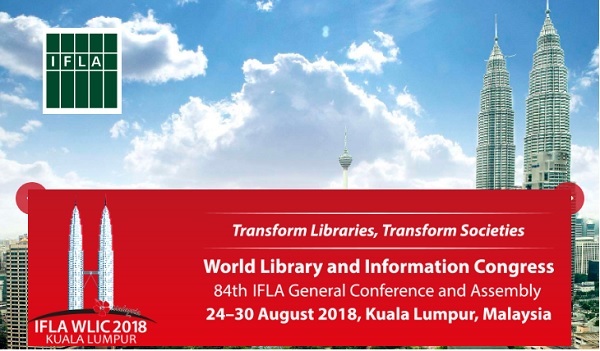 IFLA’s consistent position is that access to information is essential in achieving the United Nations SDGs, and that libraries are not only key partners for governments but are already contributing to progress towards the achievement of the 17 Goals. For this reason, IFLA launched the International Advocacy Programme (IAP) in 2016, a new capacity-building programme designed to promote and support the role libraries can play in the planning and implementation of the United Nations 2030 Agenda for Sustainable Development and the UN SDGs. Development and Access to Information (DA2I) is the first of a series of reports that will monitor the progress countries are making towards fulfilling their commitment to promote meaningful access to information as part of the United Nations SDGs. Support Libraries, Development and the United Nations 2030 Agenda ! While the SDGs are universal goals, each country will be responsible for developing and implementing national strategies to achieve them, and will be expected to track and report its own progress toward each target. Learn more and GET INVOLVED ! Share news about advocacy and awareness-raising activities going on in your country using the #SDGs and #2030Agenda and #Lib4Dev and #DA2I hashtags. *** ALA (American Library Association) Welcomes Global Library Professionals to its Annual Conference (June 21-26, 2018 in New Orleans). Early registration is NOW OPEN (If you need a letter of invitation for visa purposes, please send a request to the International Relations Office at intl@ala.org). You’ll learn about key issues such as digital content and e-books, new technologies in libraries, innovation, leadership, library advocacy and promotion, cataloging and technical services, virtual libraries and archives... and much more.